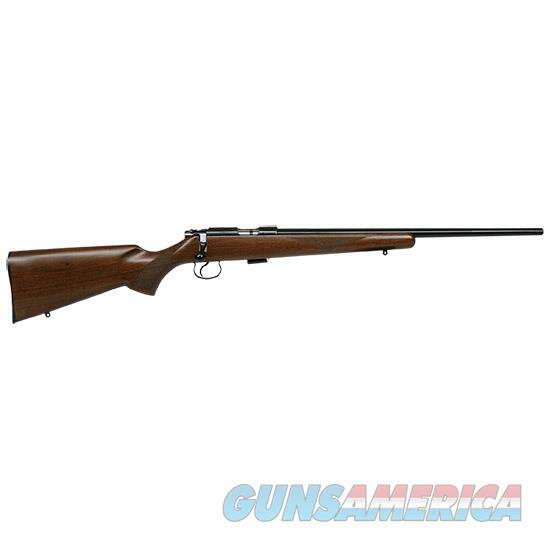 Description: Features: .22 LR & .17 HMR. Magazine Capacity: 5 Rd. Mags. The CZ 455 is the latest generation of the CZ bolt action rimfire. The 455 model will eventually consolidate all of the receivers currently used in the 452 line into one common platform. This combined with the new interchangeable barrel system of the CZ 455 will allow the user to easily change the stock configuration as well as the caliber of the rifle. The 455 retains the accuracy and quality of the adjustable trigger hammer forged barrel and billet machined receiver from the CZ 452. Improvements that the 455 brings include new manufacturing technology and tighter tolerances for improved accuracy and smoother operation. The CZ 455 American Combo Package is now available from CZ-USA. The package features the new CZ 455 in .22LR and a .17 HMR barrel along with everything you need to make the caliber change. The CZ 455 eliminates the need to spend the extra expense on a second rifle when you want to add another quality shooter to your rimfire battery. The 455 models feature an integral 11mm dovetail for scope mounting and a 5-round magazine.